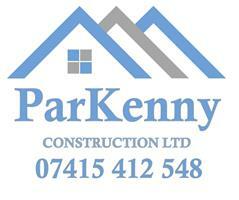 Parkenny Construction Ltd - Builder based in Sawbridgeworth, Hertfordshire. We are a construction company local to Sawbridgeworth. Taking pride in every job that we do and keeping the client informed every step of the way. We strive for a good relationship between us, the client and any surrounding neighbours. Customer satisfaction is most important to us. We ensure politeness and tidiness throughout all of our jobs, taking care that the areas surrounding site are also kept tidy. Our company is fully insured through AXA insurance company.